This June, I did a photo story for Swiss magazine WOZ. I was assigned to show Moscow locations that exist on the intersection of ages, I mostly focused on places with conflict between Soviet and modern times but looked broader into the city I love that is one of the most historically chaosed places on the planet. 'Ship-house', a legendary half-a-kilometer-long brutalist apartment building that was used to accomodate scientists working on nuclear energy programs, is now completely changed and somewhat damaged by capitalism. Moscow hosts relics of St.Nicholas this summer, which have left Bari for the first time in 930 years. The line is 9-hour-long and it leads to the Christ the Savior Cathedral. Opposing it, across the river, life goes as usual. Old caroussel horses look out of an under-the-bridge junk store in Moscow. 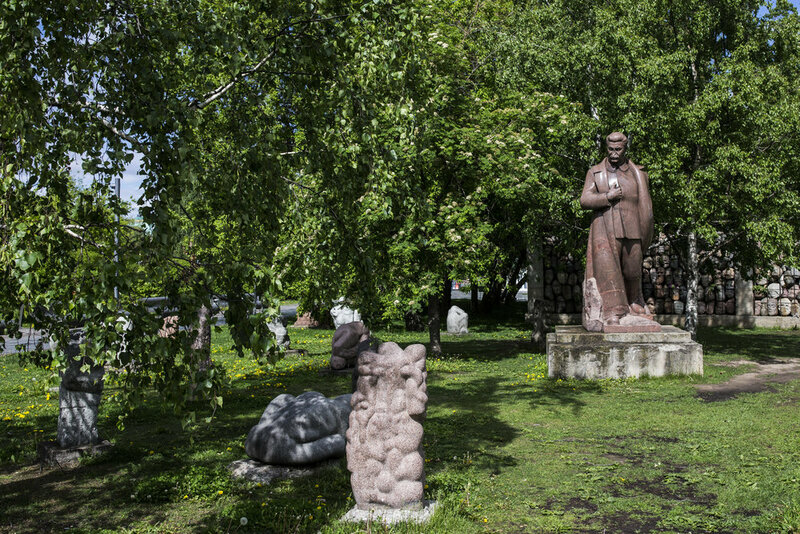 Muzeon is an art park in Moscow city center, that hosts dozens of Soviet monuments toppled during the unrest of 1991, including those of Lenin, Stalin and Dzerzhinsky. Moscow youth walk on an embankment between two districts: Stalin-built area surrounding Kutuzovsky prospect and modern City district. Babushkas on a sightseeing tour do the same across the river. Muscovites use subway wi-fi network on their smartphones to surf web at Kievskaya station that is decorated with Soviet mosaics. Three generations of Muscovites wait for a tram.